Greens have been all the rage for the past decade and for excellent reason. Greens are packed with nutrition, vitamins and minerals and many have a great amount of protein. I’m not here to convince you of all the nutritional benefits that greens have but to help you have a fresh or preserved supply year-round. 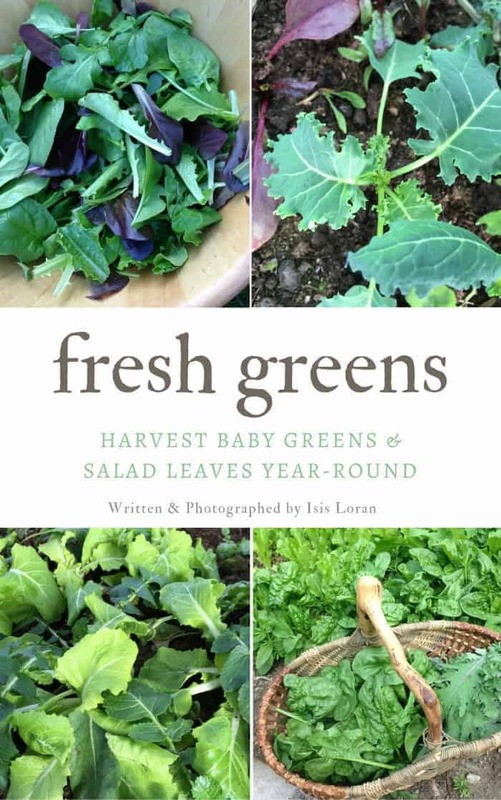 Greens are easy to grow, offer excellent dollar value and can be sown multiple times a year which makes them the perfect crop to learn year-round growing techniques. 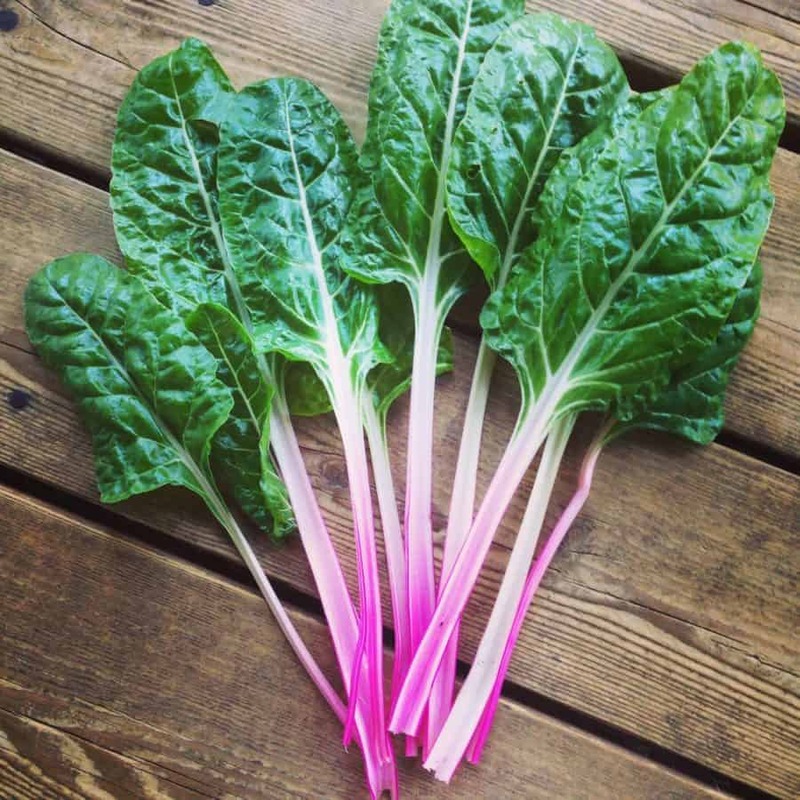 Can you really grow greens year-round? 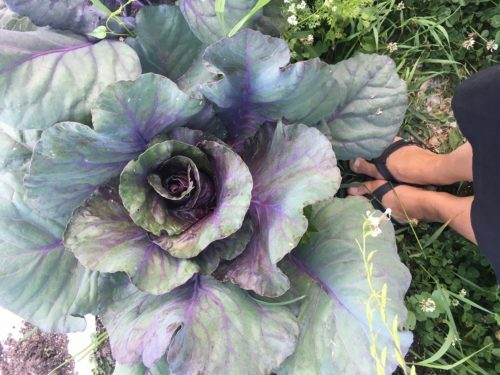 Yes you can Grow fresh greens year-round! 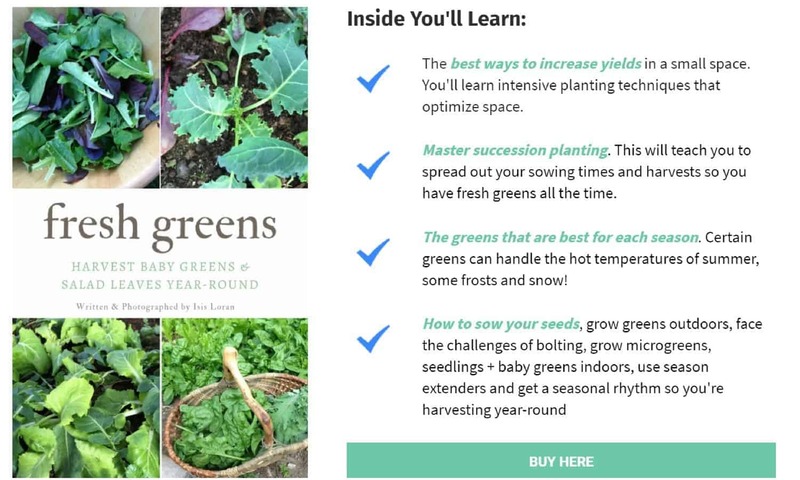 This book is only $2.99 and has everything you need to learn how to grow and harvest 52 weeks of fresh greens no matter what your climate is! You can also save $ get this fabulous greens ebook & my ultimate printable garden planner together! Staying organized can really help you to have a successful and bountiful gardening season. When you keep track of your seeds, seedlings or harvests you become a better gardener and can troubleshoot problems better. You can also dent your monthly grocery bill! 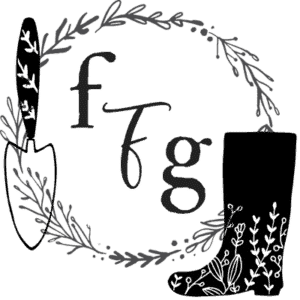 My garden planner will help you figure out what to grow by figuring out your monthly produce spending to find the most valuable crops to grow. These printable sheets will help you start your seeds, keep important information in one place and have detailed gardening records of your season. You can also set short-term or long-term goals, create future garden projects and keep track of your seed inventory. My next food garden will be planted in Central America. The coastal areas are too warm for most greens, but I have been advised to plant Italian basil, moringa (the young leaves can be eaten in a salad) and collard greens. Suggestions are most welcome! What a different climate to grow in! Some of the greens that can handle warmer temperatures without bolting are: Malabar spinach, new zealand spinach and sweet potato greens (yes you can eat the greens!). Lots of good information, would have been so much more useful if the name of the herb was listed beside the picture of the plant. The ebook guide has a list of greens with the pictures and what greens are best for each growing location. 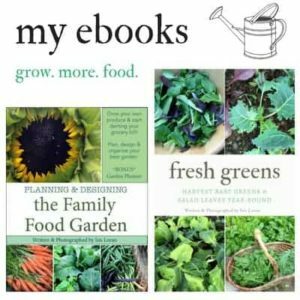 I have just bought and downloaded the ebook on how to grow 52 weeks of fresh greens, but the printable planner did not arrive with it. Have I missed something when downloading?